I think that one of the areas the Physical Web will prosper in is retail, starting with the very simple idea of showing the shops that are around you in an enclosed space (commonly a mall or shopping centre). If each shop had a beacon (or beacon swarm), a person entering the space would have an immediate idea of what they could find within, say, 30m of them. This wouldn’t replace a map, but would at least indicate the available variety of outlets. You could argue that this same scenario could be solved with an app; the app install is a small barrier to entry, and the app would have to be centrally managed to keep up to date with all the stores in the shopping centre, but I expect the line‐up of stores remains mostly stable and updating wouldn’t be a major hassle. But using the Physical Web would mitigate even these small problems: there would be zero install, no requirement for centralised updating, and no app development time required at all. As an aside, why not combine the two? An app shell which aggregates URLs for all the shops in the space and further crawls their pages for structured data showing offers, exclusive discounts, etc? There is still the app install barrier to pass, but once installed the content would all come from local, decentralised sources. Beyond the mall, the Physical Web would become even more useful in spaces where there’s a high rate of change in the vendors that are present on any given day — for example, a street market. 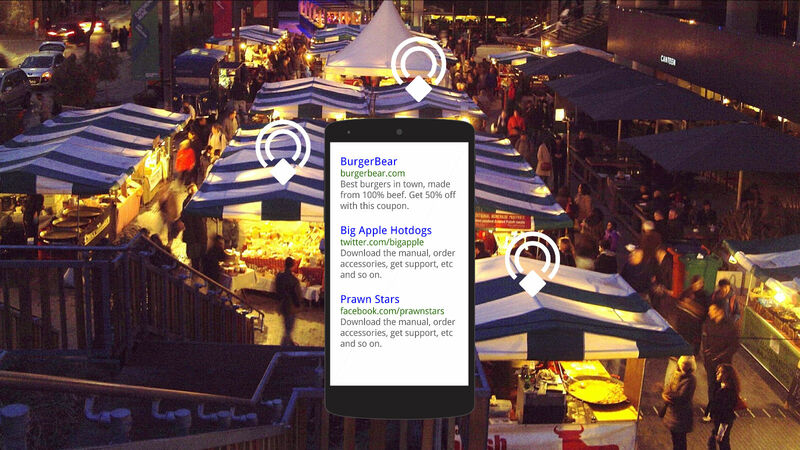 If each vendor has a beacon, visitors to the market could easily see who’s selling that day. I can see there being an advantage in centralising these results too; the host market could set up an aggregator device (or devices), collating all the transmitted URLs and displaying the results on their website. This would inform people at home who was present that day, giving them information they need to plan their visit. These ideas only cover URL discovery, but open up many possibilities for further interaction. There are many more ideas already making their way into the Physical Web Cookbook, and I plan to return to this subject in the future. I should reiterate that these are just preliminary ideas based on my limited exposure to the Physical Web concept, and what I really look forward to is collaborating with a broader group to kick the tyres and explore new ideas. To that end, feel free to drop me a line in the comments if you want to talk. 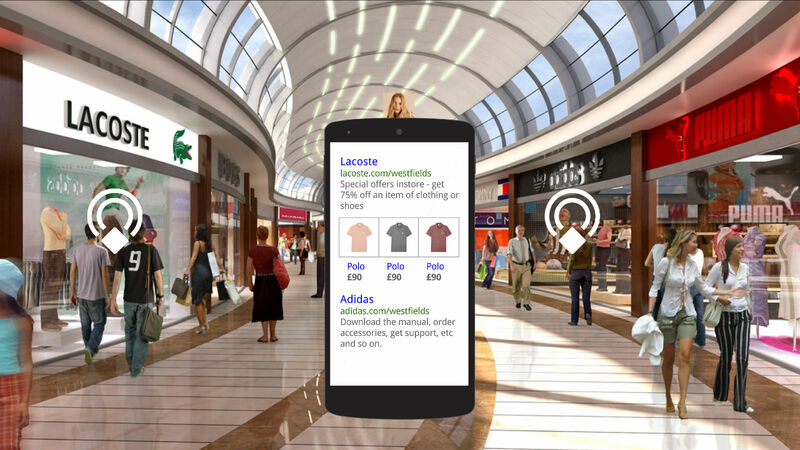 To try out the Physical Web for yourself you’ll need some beacons and a smartphone. I recommend this Beacon Dev Kit from Radius Networks for the former, and for the latter you can install the app for Android, or set up Chrome on iOS. The Physical Web uses the Eddystone protocol, on which I previously wrote a briefing note. Nice article. But isn’t Chrome an app that one needs to install on iOS. I am actually surprised why Google didn’t provide the same plugin within Chrome browser for Android. You’re right, and I believe that it will come natively to Android at some point in the (near) future, either through Chrome or as part of the OS. Thank you for another great post on the Physical Web. I feel a bit like I have just taken the red pill. I would love to talk and hopefully do some experiments with the Web Bluetooth API. I am on the hardware/firmware side of things but used to do front‐end back in the days when Flash was the best thing ever.